Specsavers easyvision sential daily replacement contact lenses are exclusively manufactured for Specsavers by Sauflon. Specsavers easyvision sential are manufactured in a silicone hydrogel are a combination of the healthiest contact lens material available with daily disposability the safest contact lens modality. 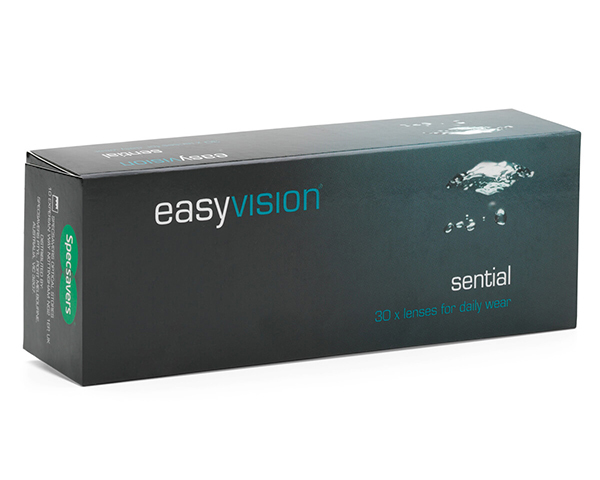 Sential lenses have high oxygen transmissibility allowing more oxygen to the cornea than conventional contact lenses, resulting in greater comfort and health. Specsavers easyvision sential lenses are made in a soft and flexible material, this combined with Sauflon's Aquagen patented process this ensures the lens material remains wet throughout the wearing time to maintain excellent all day comfort. Bringing you state of the art daily disposable contact lenses EXCLUSIVELY available from Specsavers at value for money prices.